On a day that was suppost to be eBay Inc (NASDAQ:EBAY)’s time to shine, another online retailer stole the show. Overstock.com, Inc. (NASDAQ:OSTK) is often left behind in the discussion of top online retailers but could very well return much larger gains. On Thursday, Overstock.com, Inc. (NASDAQ:OSTK) saw market-leading gains after reporting Q1 earnings. The stock, which rallied 37%, has seen strong performance throughout the last year. Despite its one-year 210% return, the stock is still incredibly cheap due to significantly underperforming its peers over the last five years. 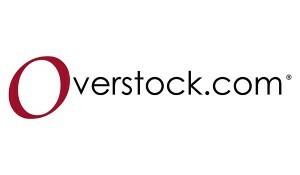 For the quarter, Overstock.com posted Q1 revenue of $312 million, which was far above expectations of $282.3 million. Aside from its top-line growth of 19% year-over-year (yoy), the company also posted an EPS of $0.32, which was more than 100% better than the consensus. As a result, it was a great quarter. While the headline metrics, top and bottom line, were strong, the company also improved in virtually all areas of its business. The company saw an 80 basis point rise in gross margins to 18.9% while sales/marketing spend rose 29% during the same period. Some might assume that with a 37% gain, the stock has priced in all of these fundamental gains. However, this is simply not the case. When you look at Overstock.com, Inc. (NASDAQ:OSTK) compared to its largest competitors, Amazon.com, Inc. (NASDAQ:AMZN) and eBay, you can see clear value. Granted it’s not the perfect comparison due to Amazon.com, Inc. (NASDAQ:AMZN) and eBay Inc (NASDAQ:EBAY) being much larger businesses. Yet the point is that fundamentals compared to valuation is a far greater gap for Overstock.com. Take a look at the chart below for a few key metrics to see the level of value present. While these companies operate in the same space, all have different business models, and are of different sizes. First, the P/E ratio is almost useless to me as an investor when comparing these three companies. eBay is a highly profitable company, one that has nearly tapped its peak in terms of margins. As a result, in order to grow it must also sacrifice margins. However, both Amazon.com, Inc. (NASDAQ:AMZN) and Overstock.com have sacrificed margins for growth, and have not reached a point where margins have been the number one concern of either company. There is a belief on Wall Street that Amazon.com, Inc. (NASDAQ:AMZN) could easily achieve operating margins right now of 4% and become a highly profitable company, but instead it has focused on expansion. On the other hand, Overstock.com, Inc. (NASDAQ:OSTK) fell greatly behind in 2011 and has seen most of its gains come from margin expansion. For its latest quarter alone, the company more than doubled Wall Street expectations. This was due to its ability to expand margins at a faster than expected rate. With the company’s operating margins being just 1.11% this should be viewed as a positive, as the company has a lot of room to improve, while eBay’s efficiency is near max. Next, the most important metric to me is price/sales, which is the size of the company compared to its market worth. My theory is that a company can always cut costs to improve margins and become more profitable, but that it is much more difficult to create revenue without sacrificing margins. As an investor, I prefer a business model where a company trades at a ridiculously low price/sales ratio and then makes minor changes to improve efficiency, all the while having low expectations from the market. This creates massive gains (i.e., Rite Aid Corporation (NYSE:RAD), Best Buy Co., Inc. (NYSE:BBY), Sprint Nextel Corporation (NYSE:S)), and Overstock.com is definitely a company that fits into this category. Apple Inc. (AAPL): How Cheap Will The “Cheaper” iPhone Be? Apple Inc. (AAPL), Overstock.com, Inc. (OSTK): How To Prepare For The Inevitable... Verizon Communications Inc. (VZ): Why Is It Still Selling So Many Old Apple... Options Traders Pounce On Overstock.com Inc (OSTK) Calls As Shares Extend Rally... Apple Inc. (AAPL): Why It Should Launch a Music Service Like Pandora Media... Facebook Inc (FB): Did It Launch the Branded Smartphone Phenomenon?